What a wonderful day we had last Sunday farewelling Simon, Amy and family. It was tinged with sadness, but equally great with excitement as they enter a new ministry phase just down the Coast. They may have left, but their mark upon us will be very difficult to erase as they have touched us so deeply. Simon’s comments about “Our Church” in recent News sheets really hit home. Sometimes we need reminding of what we have as we can easily see only the current issues and lose sight of the broader picture. We do have so much to praise God for at OFA, but equally we need to be on guard that we do not let what we have slip away. Over the Christmas 2018 period a family mentioned to me their experience when visiting a local Anglican Church. They knew a few people there but what struck them was no one else spoke with them at all; not when they arrived and were handed a news sheet, not when they sought some children’s material for use during the service, not afterwards in general fellowship and not the minister who passed them by but offered no word of welcome or anything else. They left disappointed but sadly not surprised. It is so easy to be critical without being constructive. However, this experience can help us to think about our Church and how we might be viewed by visitors especially. 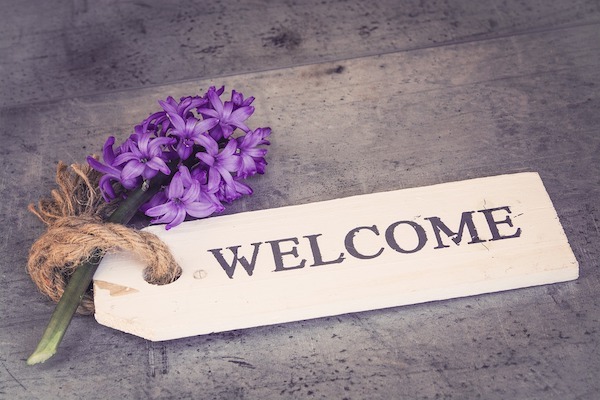 Are we welcoming and do visitors feel the love when they attend any service? To feel welcome somewhere (anywhere) is a wonderful experience; especially in the church where it should be the norm. We can all play a part in making visitors and locals welcome. Who can you help make feel welcome at church this week? Hebrews 13:1-2 reminds us to “Let love of the brethren continue. Do not neglect to show hospitality to strangers, for by this some have entertained angels without knowing it.” NASB.